Picasa will scan your drive looking for image files. You don’t even need to tell it where to look. I find it’s most useful of tagging and sorting. 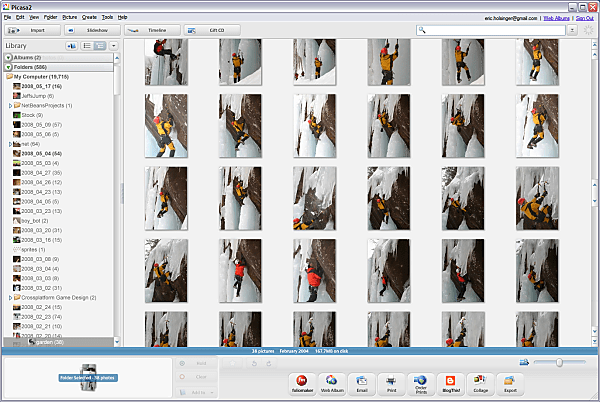 You can add keywords to images to tag them with things like “birthday” or “ice climbing”. Then you can search for them later using the same keywords to find all your photos tagged with “birthday”. In this way, I can tag images I use for stock. There is no need to copy them from one folder into another, risking duplication. As you stock library grows, you really need to manage which images go where. Tagging can be very helpful for that.